One of the first crucial events of the year 1968 would have passed unnoticed by most people. Alexander Dubček replaced Antonín Novotný as First Secretary of the Communist Party of Czechoslovakia on January 5. Another day, another grey bureaucrat plodding around the cogs of another monolithic East European party machine, is how it appeared. The leadership re-shuffle took place under the auspices of Soviet leader Leonid Brezhnev, notable for his re-imposition of Stalinist repression and responsible for years of utter stagnation after the Khrushchev Thaw. The advent of a new leader hardly seemed to herald something truly exciting. But, as with the election of Mikhail Gorbachev as Secretary of the Communist Party of the Soviet Union in 1985, it was an event which soon led to enormous and irreversible changes inside the Soviet bloc and around the world. What became known as the Prague Spring was to combine economic reform with a cultural and political movement, in which the rehabilitation of the victims of Stalinism played a significant role. 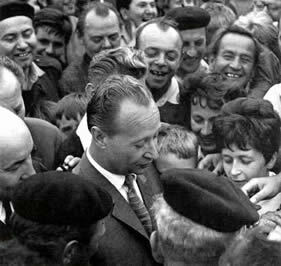 For most of its leaders, as well as the Czech masses, 1968 was an attempt to retrieve the principles of socialist democracy from the dead hand of Stalinism. The Czech movement revealed the force of the growing political revolution against Stalinism, first seen in the heroic 1956 uprising in Hungary. Though it ended with tanks on the streets, blood and bitter disappointment, it brought about irreversible changes in a year that changed world history. At the end of World War II, after the Red Army and partisans liberated the country from Nazi occupation, a coalition government took power under the bourgeois politician Edvald Beněs, who had headed the government-in-exile in London during the war. The government, with Communist Party (KSČ) ministers in key posts, began to nationalise heavy industry and banking. A programme of land reform also started. But the government also carried through ethnic cleansing of Czechs of German and Hungarian origins, accused collectively of collaborating with the Nazis. They were forced out of the country and their property seized. When elections took place in 1946, the Communist Party won 38% of the vote nationally and its leader, Moscow-trained Klement Gottwald, became prime minister in another coalition government. Gottwald and his party favoured participation in America’s Marshall Plan, which channelled investment into war-torn Europe. But Stalin would have none of this independence from Moscow and in 1947 instructed Gottwald to reject Marshall aid and instead prepare to oust other parties from the government. So in 1948, backed by a general strike, the KSČ staged a political coup d’etat. Beněs resigned as president and the country from then developed into a one-party, bureaucratic and repressive Stalinist state. The enthusiasm of the trade unions was eroded by the imposition of “shock workers” in factories to stimulate unrealistic productivity norms, while wages were held down. Consumer goods were neglected in favour of producing machinery and other heavy industrial goods, which themselves found their way to the Soviet Union under trade “agreements”. The country’s secret police apparatus hounded and arrested dissidents and notorious show trials were staged in the early 1950s. But a new generation began to take up the struggle for political change in the 1960s and the momentum against Stalinism built up, especially in cultural circles. As early as June 1967, Ludvík Vaculík, Milan Kundera, Jan Procházka, Antonín Jaroslav Liehm, Pavel Kohout and Ivan Klíma had strongly prepared the way by criticising the regime at the Czechoslovak Writers Union 4th congress in Prague. Then, in February 1968, the new Communist Party (KSČ) leadership approved an enlargement of its economic reform programme to combat the deepening recession. In the mid-1960s, Poland, Hungary, Czechoslovakia and Rumania had begun to adapt their economies to the demands of international capitalist competition. The only result had been to intensify the social crisis and the economic impasse in each country. In March, rallies held in Prague and elsewhere in the country demanding an end to censorship led to the resignation of Novotný who had lingered on as president. 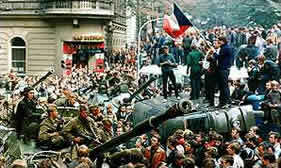 By April, the heady events, which came to be known as the Prague Spring, were well underway. Dubček launched an Action Programme, which included freedom of the press, speech and movement. There were to be more consumer goods and possibly a multi-party government. The powers of the secret police were to be restricted and Czechoslovakia was to be federalised into two equal nations. The chinks in the Stalinist apparatus rapidly allowed new parties and political clubs into being as pressure grew for immediate change. At a meeting of the Communist Party leadership, Dubček made his famous call for “socialism with a human face” and a new central committee was to be elected. The Action Programme referred to a “unique experiment in democratic communism” in which the KSČ would have to compete with other parties in elections and there would be a 10-year political reform. It proposed technical skills and participation in the “scientific-technical revolution” as solutions to the economic crisis. On April 19, the National Assembly promised political rehabilitations and freedom of the press, assembly and religion. At the May 1 celebrations, President Ludvík Svoboda honoured some of those who were executed in the notorious show trials of 1952, in which Rudolf Slansky and ten other KSČ leaders were framed up, tortured and executed. L’Aveu (The Confession), a 1970 film starring Yves Montand and Simone Signoret, was based on these events. A talented economist, Ota Šik, who had endured the Mauthausen concentration camp, led economic reforms of the day. He told students at a Prague rally in May that Czechoslovakia could inspire workers in the Western capitalist countries by creating a “model of socialist society that will become really attractive for the working peoples of all capitalist countries, and that will have a tremendous impact on the development of the left-wing movement in Western countries”. Šik’s proposal for working people’s councils was taken up in Czech factories on an experimental basis in June. Censorship was officially abolished on June 26 and re-habilitation of political prisoners was set to begin. The very next day, the 2,000 Word Manifesto, written by Ludvík Vaculík, was published in the literary weekly Literarni Noviny, and in the dailies Prace and Zemedelske Noviny. The Manifesto reflected the pressure of the Czech masses, going far beyond the Party’s Action Programme. The political leadership, including Dubček, rejected it. Not surpisingly, because Vaculík’s Manifesto targeted “the apparatus”. It said that leaders and members of the Communist Party bore “the greatest responsibility of all” for the exercise of “unchecked power … the decline of our economy, for crimes committed against the innocent, and for the introduction of censorship to prevent anyone from writing about these things”. While some officials were “redressing old wrongs, rectifying mistakes, handing back powers of decision-making to rank-and-file party members and members of the public, and establishing limits on the authority and size of the bureaucracy”, others, the Manifesto noted, “have been resistant to change”. “the expression of the political revolution on its way … a stage that the masses and vanguard should overcome through the struggle for the construction of a revolutionary party on the basis of the programme of the Fourth International”. The race was on for the Stalinist leaders in the Moscow and the Warsaw Pact countries, and those who opposed Dubček within the KSČ, to rein back a movement which was rapidly spiralling out of control. The revolutionary upsurge of the Czech working class, intellectuals and youth was now creating the possibility of a successful overthrow of the Stalinist bureaucracy and a socialist democratisation of power. Behind the political euphoria, sinister forces were on the move. In July, Soviet-led troop movements began on the Czech border as representatives of the Communist Parties of the USSR, Hungary, Poland, East Germany and Bulgaria met in Warsaw and sent what was, in effect, an ultimatum to the new Czech leaders. On August 3, a Warsaw Pact meeting of representatives from the Soviet Union, East Germany, Poland, Hungary, Bulgaria and Czechoslovakia met in Bratislava, southern Slovakia, and signed a declaration that was the death-knell of the Prague Spring. Hiding behind the jargon of “Marxism-Leninism” and “proletarian internationalism”, Stalinist leaders agreed to oppose what they termed “anti-socialist forces”, thus endorsing the “Brezhnev doctrine”, which legitimised military intervention. After the conference, Soviet troops left Czech territory, while remaining on its borders, whilst the KSČ prepared its September 9 party congress. It appeared that a compromise between Moscow and the Czech leadership had been reached just at the peak of the crisis. This was far from the case. In high political drama, still under the threat of military intervention, the KSČ leadership was divided between those who supported Dubček - Oldřich Černík, and František Kriegel and the pro-Stalinists Vasil Biľak, Drahomír Kolder, and Oldřich Švestka, who went on to prepare a coup 1. The last three, along with Alois Indra and Kapek, sent a handwritten letter to the Soviet authorities asking them to save the Czech republic, “from the imminent danger of counter-revolution” – in other words, inviting Moscow to launch a military invasion. The existence of this letter was denied, but in the early 1990s the Russian government gave the new Czech president Vaclev Havel a copy of the letter. While the Soviets were considering waiting until August 26, the date of the Slovak Party Congress, Indra, Kolder and Bil’ak, anxious to defeat the Dubček wing, asked for the troops to move in six days earlier – on August 20. As an advance warning of the invasion reached the Praesidium, two key members of the conspiracy switched sides to support Dubček. On the night of August 20-21, troops and 2,000 tanks from five Warsaw Pact countries – the Soviet Union, Bulgaria, Poland, Hungary and East Germany invaded. Estimates of troop numbers vary from 200,000 to half a million. On the morning of August 21, the four reformers in the KSČ leadership, including of course Dubček, were arrested in the party headquarters by Soviet airborne troops and were soon flown to Moscow. Over the next few days, they were made to fear for their lives and compelled to sign the so-called Moscow Protocol, which agreed to the presence of Soviet troops. Of the four, only František Kriegel refused. 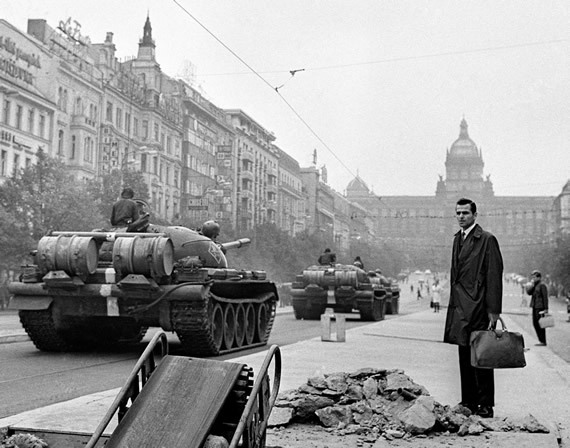 Crowds of workers and students confronted Soviet troops in Wenceslas Square and Old Town square in the heart of Prague and at the National Museum. 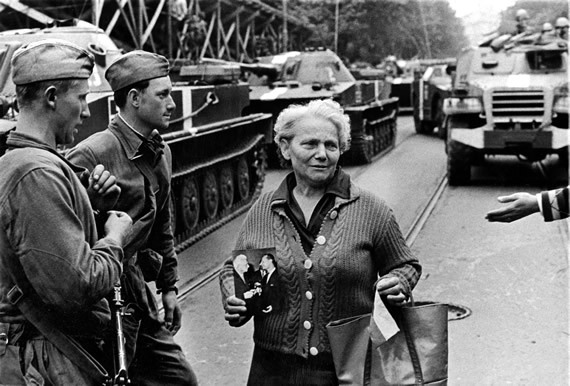 There were many acts of non-violent resistance as Czechs and Slovaks argued with the Warsaw Pact soldiers. There was a symbolic one-hour general strike. Assistance, including food and water, was denied the invaders while graffiti, signs and placards denounced them and suspected collaborators. During the attack, between 72 and 100 Czechs and Slovaks were killed and around 700 wounded, although other estimates put the figure much higher at around 1,000 deaths. Under arrest, Dubček had called on people not to resist. The 14th Congress of the KSČ was eventually held in secret in a factory, under the protection of the working class. The party thereby broke its links with Moscow. The Czech masses needed the support of workers elsewhere in Europe to end the Soviet occupation and to defeat Stalinism itself. Only such a movement could have forced the release of Dubček, who was placed in solitary confinement and worn out physically and mentally, as the Kremlin’s mouthpiece, Pravda, called for “The liquidation of 40,000 nerve centres of counter-revolution”. Despite the occupation – or perhaps because of it – the pro-Stalinists were unable to form a government with any legitimacy to rule. It took eight months for the Stalinists to regain their hold on power. Reactions worldwide were mixed. In the German Democratic Republic, as well as in Red Square, Moscow, there were courageous but isolated protests, which were quickly suppressed. Although the U.S. and other Western countries condemned the invasion, it was clear that President Lyndon Johnson had no intention of pursuing the issue. Informed of the imminent attack by the Soviet ambassador to the U.S, Johnson simply thanked the ambassador for the notification and asked him to move ahead with an invitation to visit the USSR, according to Walt Rostow, a national security advisor present at the White House meeting. Huge rifts opened up in the Communist Parties of Europe. Reversing their general support for Soviet intervention against the Hungarian Revolution of 1956, the Italian, Romanian, Finnish, Italian, British, Spanish and French parties opposed the invasion whilst the Portuguese party leader, Alvaro Cunhal, and some factions in the Greek Communist party joined with Fidel Castro and Ho Chi Minh in condemning the Czech political revolution. The invasion was followed by a wave of emigration from Czechoslovakia as people feared for their lives. Some 70,000 fled immediately with the total eventually reaching 300,000, out of a total population of 14,000,000. On 19 January 1969, a student called Jan Palach set himself alight in the centre of Prague as a protest against the clampdown. By April 1969, Gustáv Husák had replaced Dubček after disturbances following the Czechoslovak hockey team’s victory over a Soviet team in Stockholm. Dubček was expelled from the party and for the next 20 years lived under constant police surveillance, working as a forestry official in the Slovak city of Bratislava. Western Communist parties continued to distance themselves from Moscow, a process driven by Enrico Berlinguer, the leader of the Italian CP, who initiated the Euro-communist movement. He forged his “compromesso storico”, a historic compromise – in fact a rapprochement – with the Christian Democrats. In 1977, the leaders of the Italian, Spanish and French parties met in Madrid and mapped out their alternative path, a reconciliation with their own ruling classes rather than a reaffirmation of socialist principles. The “Euros” contrasted with the “Tankies”, who were unreconstructed Stalinists who supported military intervention and old-style dogmas. Thirty years after the Prague Spring, in August 1998, former Soviet President Gorbachev told a Slovak newspaper Narodna Obroda that he “found the courage and the strength to start fundamental changes” in the 1980s under the influence of the Prague Spring. “The brave reforms of Alexander Dubček were an attempt to get rid of totalitarianism and connect socialism with democracy. Even though they ended in tragedy, at the cost of human life, they were not made in vain,” he said. In fact, Dubček and Mikhail Gorbachev were both educated at Moscow State University in the 1950s and in Zdeněk Mlynář, had a close mutual friend and political associate. The August invasion was the last full-scale military action that the Soviet Union would undertake against one of its satellite states. In East Germany in 1989, when a political crisis unfolded, the Soviet government, now with Gorbachev as the secretary of the Communist Party, signalled they would not send troops to prevent the mass protests and exodus to the West which led to the dismantling of the Berlin Wall in December. In the same month, the Warsaw Pact leaders jointly signed a statement condemning the military suppression of the Prague Spring. The force of the Prague Spring cracked wide open the seemingly all-powerful Stalinist monolith, which some on the left had claimed would last for centuries. The iron grip of the bureaucracy could never be restored. The flowering of political ideas and culture in Prague inspired movements round the world in the years to come, including a brief period of popular democracy in China, the Beijing Spring of 1977-1978, when it became possible to criticise the government as the Democracy Wall movement emerged. It continues to have a wide cultural resonance in the music, literature, theatre and poetry of 1968 and the years that followed in the writing of Milan Kundera and filmmakers like Miloš Forman, Ivan Passer, Jan Němec, Jiří Menzel and Jan Švankmajer. Capitalist states have now arisen on the ashes of Stalinism and Czechoslovakia has been divided into two countries in a manoeuvre played out by reactionary nationalists. But the new states are rapidly being stretched to their limits by the extreme tensions posed by today’s economic and financial crisis. The revolutionary potential of the Czech and Slovak people is certain to be rekindled in the spirit of 1968.